"I enjoy helping clients develop and execute growth strategies. Our multi-disciplined team of practitioners focuses on the tax, accounting and legal aspects of any transaction. Our experience in closing many types of transactions permits us to offer cost-effective solutions." 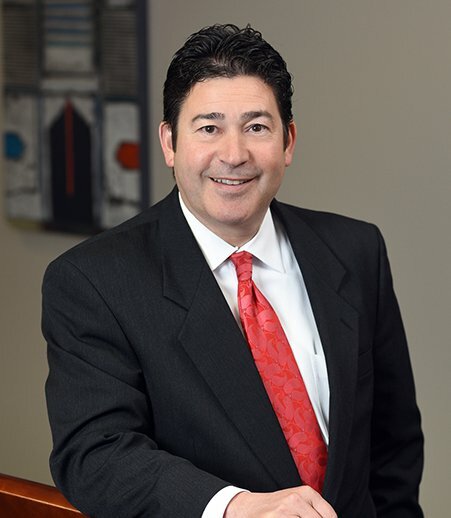 With extensive experience in mergers and acquisitions, corporate finance and tax issues, Vince Garozzo offers business-oriented solutions to clients in corporate transactions. His legal and business knowledge and leadership skills have earned the respect of clients as well as his colleagues — Vince previously served as firm president and is a member of the Board of Directors. Vince has represented clients in transactions throughout the United States and in several foreign countries, handling the financial, tax, accounting and business-law aspects of mergers and acquisitions and corporate finance transactions. He serves as general counsel and special transaction counsel for publicly traded and closely held business organizations. His multidisciplinary approach — looking at the financial and tax aspects in addition to legal and business matters — brings value to transactions. In addition, Vince has significant experience in public-private partnership financing through the use of economic development tools and other public incentives, including Tax Increment Financing in real estate developments, together with Transportation Development Districts, Community Improvement Districts and Chapter 353 and Chapter 100 tax abatement for real estate and personal property. He works with numerous developers in Missouri and Illinois securing TIF and related assistance for new projects. Represented an auto parts company in connection with the acquisition of additional retail outlets from a parts retailer and repair shop. Represented a retailer in connection with the disposition of several grocery and fuel locations to another company, as well as the subsequent purchase of several stores in another city from that same company. Represented the purchaser of a hotel property from the previous owners’ bondholders, who had foreclosed on the properties. Represented the equity owners of a formal wear company in connection with the sale of the company to a private equity group. Represented a portfolio company of a private equity group in connection with its sale to another private equity group. Handled all aspects of the sale transaction, including the auction process. Represented a food manufacturing client in connection with the sale of its wholesale operation to a strategic buyer of the business while retaining its distribution division. Represented a minority shareholder in a family-owned commercial printing business in the acquisition of the business from his family members. Represented a company in the residential building products market in connection with its sale to a third-party financial buyer. Assisted the company through all aspects of the sale, including conducting the auction, maintaining the data room, counseling the sellers with respect to post-closing and liabilities and closing the transaction. Represented a private equity group acquiring a building products company located in Texas. Assisted in securing senior credit facility and mezzanine financing for the acquisition. Represented a developer in connection with renovation of an existing real estate project and the development of a community improvement district to assist in defraying public improvement and other costs. Interview with Vince Garozzo, "St. Louis companies are keeping more cash. Here's why." Interview with Vince Garozzo, "How to know you're ready for the market"
"M&A Market Update: Sellers Hold the Keys"
"Roadmap of an M&A Transaction"
"Creating Value in Middle Market Companies"
"Your Small Law Department's Roadmap"
"Is Your Business Ready for Enforcement of the 'Red Flags' Rule?"